One word to describe the search for a new football coach at the University of Wyoming — quiet. 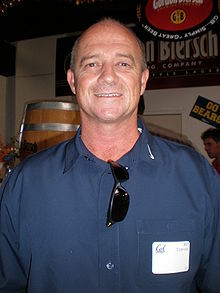 Former California coach Jeff Tedford emerged as a candidate earlier this week, but there is no word on the progress or interest between Tedford and UW. Numerous phone messages left for Tedford by WyoSports have not been returned. A source told WyoSports that former UW player and assistant coach Ted Gilmore expects to get an interview, but that has not happened yet. Gilmore is the receivers coach for the NFL’s Oakland Raiders, and also has been an assistant coach at the college level at Kansas, Houston, Purdue, Nebraska, Colorado and USC. Gilmore drew interest from UW after it fired Joe Glenn after the 2008 season. There was a lot of fan interest in North Dakota State coach Craig Bohl, who said earlier this week he was not interested. Another Football Championship Subdivision coach’s name that has been bantered around in Sam Houston State’s Willie Fritz. Fritz is 40-14 in four seasons at Sam Houston State, has led his team to the FCS playoffs three consecutive years and was runner-up in 2011 and 2012. Sam Houston State plays at Southeastern Louisiana in the FCS playoffs this weekend. Fritz also was the coach at NCAA Division II Central Missouri where he was 97-47. Does the name Brock Spack ring a bell? He was the defensive coordinator at UW from 1995-96 for Joe Tiller, and followed Tiller to Purdue. Spack completed his fifth season as the head coach at FCS Illinois State this season. The Redbirds were 5-6 in 2013, and Spack has guided them to winning seasons in three of his five seasons. UW athletics director Tom Burman said Monday he would use feedback from past UW football coaches and administrators that the school “trusts” to offer feedback on this search. Tiller’s name was specifically mentioned. Perhaps that could help Spack’s cause. Known for his no-nonsense and tough approach, would Spack be a good fit for UW? Possibly, but his overall record of 33-24 is good but not overwhelming. WyoSports tried to contact Spack Friday afternoon. The football secretary at the school said he was in a meeting with his coaching staff, and has yet to return any calls. There are few coaches in the Mid-American Conference that have been drawing attention for other jobs around the country, but not so much at UW. They include Bowling Green’s Dave Clauson and Ball State’s Lembo. Clauson appears to be a strong candidate at Connecticut and Lembo at Wake Forest. One thing that seems clear as of now: UW is going after coaches with head coaching experience, and not assistant coaches with now head coaching experience. UW is not the only Mountain West school looking for a football coach. Boise State’s Chris Petersen took the job at Washington Friday. Don’t think that will affect UW’s search. Media reports indicate that former Boise State assistant and current Arkansas State coach Brian Harsin is a top candidate. Don’t be surprised if Boise State tries to hire a new coach with current or past ties to the school and program. This entry was posted in Football and tagged 2013 UW football coaching search, Brock Spack, Craig Bohl, Dave Clauson, Jeff Tedford, Pete Lembo, Ted Gilmore, Willie Fritz by Robert Gagliardi. Bookmark the permalink.